Public Collections allow you to publish a list of references that acts like a feed that followers can subscribe to. Sharing a group of your collections allows you invite Mendeley users to follow your lists. 2. Select Open to create a group that is shared with the Mendeley researcher community. 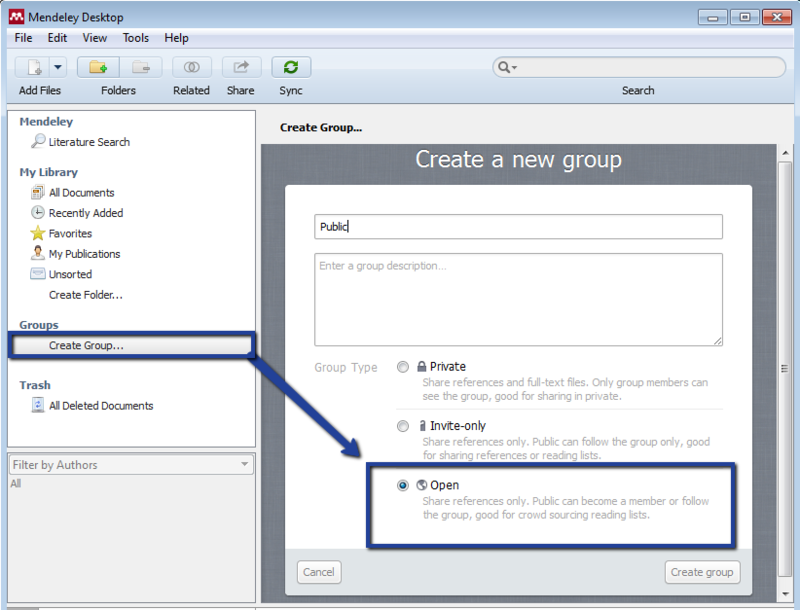 Or select Invite-only to specify which members of Mendeley to share your group with.